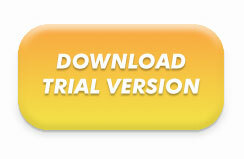 Click on the "Download Trial Version" button above. The pop-up will ask you if you want to "Run" or "Save File". Choose "Save File" to download the file to your hard drive. Be sure to remember where you saved the file. Once the download is complete, locate the file and install it by double-clicking on it. If for any reason the download is interrupted, simply begin the process from the very beginning. onto your hard drive from our servers. If you have any problems downloading or installing the trial version, please contact our technical support team for assistance.